Affectiva, global leader in emotion-sensing and analytics, announces availability of Emotion as a Service, a new data solution, and version 2.0 of its emotion-sensing SDK. 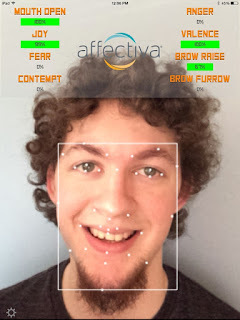 Based on Affectiva's highly accurate and patented science, these new offerings provide unique emotion-sensing and analytics capabilities, slated to transform industries such as market research, gaming, media and entertainment, mobile app development, retail, customer experience, online education, HR, automotive, robotics, healthcare and wearables. Affdex Emotion as a Service makes emotion data available on demand, yielding highly accurate results at a very low cost. Send data collected with optical sensors or cameras. In return, receive powerful emotion metrics including nuanced facial expressions, the basic emotions and video quality metrics such as lighting conditions and head angles, specifically pitch, roll and yaw. Affdex Emotion as a Service can be used to emotion-enable online digital experiences and to provide advanced emotion analytics in the digital world. Designers and developers can now infuse emotion data into their online digital experiences to make them interactive and adaptive based on emotion. Affdex Emotion as a Service also enables researchers studying facial expressions of emotion, scientists looking to analyze emotion metrics, and data analysts who need to integrate emotion data with their existing data platforms. "For the first time ever, with Affdex Emotion as a Service, we are making emotion data very accessible by providing easy and inexpensive analysis of human emotions: video in, emotion analytics out," says Rana el Kaliouby, co-Founder and Chief Strategy and Science Officer of Affectiva. "Powered with unique emotion data, designers, developers and researchers can truly bring emotional intelligence to the digital world." Affectiva has also released the next generation of its Affdex Software Development Kit (SDK), the world's only emotion-sensing SDK for iOS, Android and Windows platforms. Affdex SDK 2.0 delivers dramatically improved accuracy with new expression models trained over a broader set of facial images. Affdex SDK 2.0 provides developers better ease of use and accessibility by standardizing models for seven emotions: Anger, Sadness, Disgust, Joy, Surprise, Fear and Contempt. It also includes new facial expressions for a total of 15 facial action units. Some of these facial action units that are included in the SDK are very nuanced expressions that are difficult even for the human eye to detect, such as a "Smirk" or a subtle "Eye Close". The new release provides 3D head orientation metrics, specifically pitch, roll and yaw, and supports the development of 64-bit applications for Windows. With this release Affectiva also debuts the new Affdex Developer Portal with documentation and source code for sample apps, including the flagship AffdexMe demo. The Affdex SDK enables developers to add industry-leading emotion sensing and analytics capabilities to their mobile apps, games and other digital experiences. "Knowing what the player is feeling and being able to dynamically respond to that in real time allows us to create smarter, more engaging, and more impactful interactive experiences. Not only does this mean more entertaining games, but it also means that we have more power than ever to educate and inspire through immersive media as a whole," says Erin Reynolds, Creator and Creative Director of the biofeedback-enhanced game Nevermind. "I'm excited about the Affdex SDK 2.0 because it brings these emotion-sensing capabilities to developers and end users alike - creating opportunity for more of this 'technology of the future' to be easily used, enjoyed, and benefitted from today!" Already in use by a wide array of developers who are emotion-enabling their own technologies, the Affdex SDK delivers on the promise of bringing emotional intelligence to the digital world through novel, interactive and authentic products and user experiences. TrueCar has been the first to use Affectiva's technology to track mass emotional sentiment. The TrueCar L.E.D (Light Emotion Data), built with over 70,000 LED lights, is a unique sensory concert experience that is ever changing based on crowd participation. Concertgoers can submit selfies to a custom mobile site, that – powered by Affectiva's SDK – measures the emotional sentiment of the user by analyzing their facial expressions, creating an immediate and noticeable color variation in the TrueCar L.E.D. centerpiece. In use at the Twilight Concert Series at the Santa Monica Pier this summer, the TrueCar L.E.D. was a huge draw. 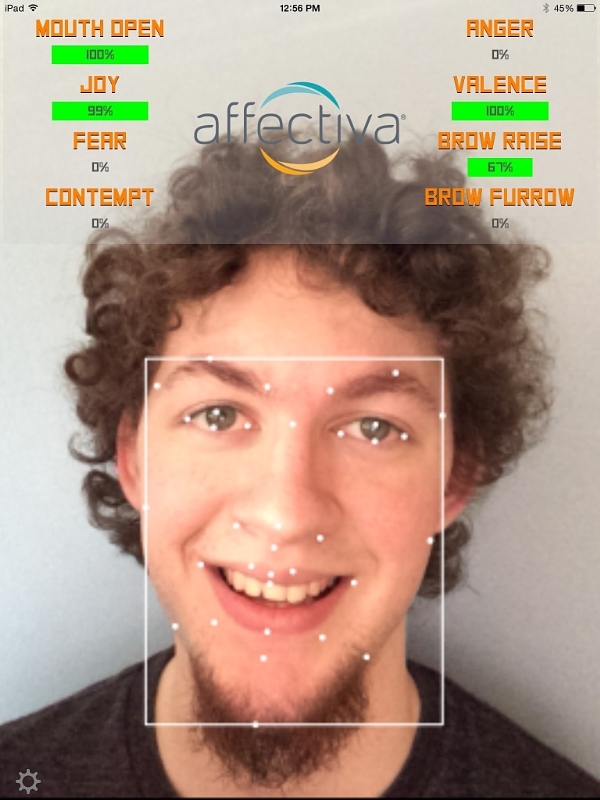 A free evaluation of the Affdex SDK is available at affectiva.com/sdk. Affectiva, the global leader in emotion sensing and analytics, brings emotional intelligence to the digital world. Using optical sensors, Affectiva technology and science map people's facial expressions into emotions, unobtrusively and at scale. Affectiva has amassed the world's largest emotion data repository – 3.2 million faces analyzed from over 75 countries amounting to more than 12 billion emotion data points. Its emotion analytics platform Affdex is used by one third of Fortune Global 100 companies and over 1,400 brands, including Unilever, Kellogg's and MARS to understand consumer emotional engagement, optimize business processes and improve customer experiences. Affectiva's technology is also applied to emotion-enable digital apps and experiences to become more interactive and responsive to our emotional state. 0 comments on "Affectiva announces availability of Emotion as a Service, a new data solution, and emotion-sensing Affdex SDK 2.0"